Nintendo has confirmed that its Labo VR kit will work with The Legend of Zelda: Breath of the Wild and Super Mario Odyssey on Switch. The new VR mode will come to the full version of each game via a patch. New Mario content is also confirmed. 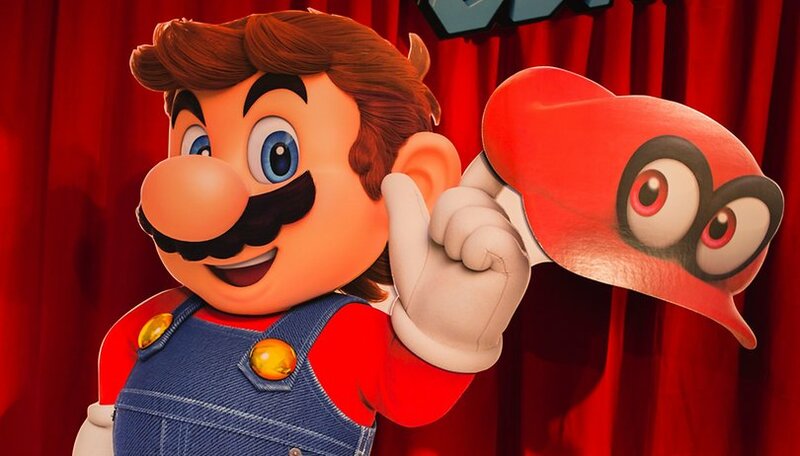 The video invites Nintendo fans to join Mario for a "bite-sized bonus experience" in simple, family-friendly VR. There are three new mini-missions to complete, which involve collecting music notes and coins across three of the game's existing worlds: Cap, Seaside and Luncheon Kingdoms. For Zelda, the VR experience has been added to the whole game via a menu option. You can trigger whether or not you want to use the Toy-Con VR Goggles from the system options. You do not need to start a new save file to play Zelda in VR, either. Both updates will come to The Legend of Zelda: Breath of the Wild and Super Mario Odyssey will be released, free of charge, on April 25. The Nintendo Labo VR kit itself launches on April 12 in the US. Non-VR Nintendo Labo is already compatible with Mario Kart 8 Deluxe. The cardboard virtual reality headset, which combines DIY fun and pass-and-play multiplayer, is designed to allow families to create their own VR games and experiences. The kit can be remodeled into six different formats including a blaster gun, a camera, a bird, a wind-pedal, an elephant complete with an extendable trunk, as well as regular VR goggles. You can pre-order the Nintendo Labo kit now. It costs $79.99. You will need a Nintendo Switch to be able to use it, of course, and a copy of The Legend of Zelda: Breath of the Wild and Super Mario Odyssey if you want to take advantage of the VR experiences announced. What do you think of the announcement? Would you like to meet Mario and Zelda in VR?